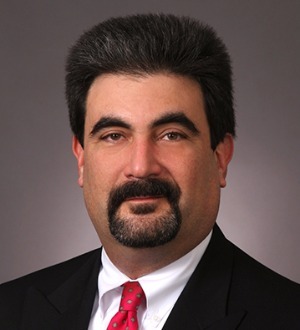 Andy Goldstein is a Partner in the Corporate Practice Group. Andy focuses his practice in the area of Intellectual Property and Information Technology. He has extensive experience in the areas of intellectual property law, including trademark, trade dress and copyright law; internet, website, cloud computing, technology, outsourcing and computer law in general; advertising, marketing, and promotion law; and entertainment law, including video production, theater and dance-related matters. The Chambers-USA Guide to America’s Leading Lawyers, calls Andy a “business law expert,” and adds that "He is smart and versatile, with broad expertise and an extremely fast turnaround time." Andy has over thirty years of experience counseling clients in the areas of intellectual property and information technology law and he has handled matters including: representing a consortium of Big Ten and other major university libraries in connection with the "Google Books" copyright case; negotiating landmark deals, such as telecommunications outsourcing contracts for AT&T and first-time software licenses with IBM; representing a major university at the dawn of the World Wide Web, when developers left the University to form a company offering the first web browser; assisting clients in developing website terms and conditions and privacy policies; and, representing one of the leading legal and accounting information publishers in connection with cases involving the unauthorized downloading of its proprietary online database and copying of the design of its new online customer interface application.